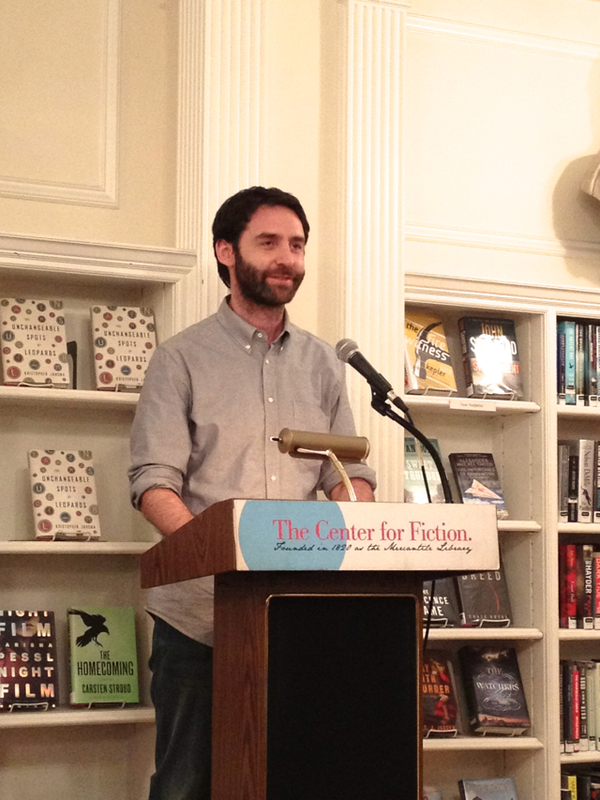 The Center for Fiction brought Gabriel Roth and Kristopher Jansma together for a discussion of coming of age stories. Both Jansma’s The Unchangeable Spots of Leopards and Roth’s The Unknowns feature protagonists in their twenties coming to terms with adulthood. Roth qualifies this point by saying of his protagonist that “he completely fails to come of age,” and in a way, his novel is about the failure to mature. After each author reads a segment of their novel, the two authors settled in for a casual discussion of the idea of coming of age story. Jansma latches onto Roth’s description of his protagonist as failing and whether it was always his intent to write the novel that way. Roth says he knew that the coming of age narrative would be the challenge, but didn’t know until the end that his protagonist would be unsuccessful. For Jansma, he wanted to write about the sort of unhealthy friendships that sprout among people in their twenties. He describes this kind of relationship as super dependency, and the need to grow up, making a coming of age framework fit well with that story. The authors acknowledge that traditional coming of age stories feature younger protagonists, like Holden Caulfield. But recasting these ideas onto older characters was no accident. “It seemed like people weren’t getting crushed by society until their late twenties,” Roth said, “I was at my most naive and least mature as I graduated high school.” Or maybe this all just a product of late capitalism he conjectures. Jansma responds by asking, “is there really such a thing as coming of age?” It seems to him that its something of a myth that people evolve into adults and then suddenly stop changing. He sees people as constantly developing. Roth jokes that maybe the next step is a mid-life crisis novel. The coming of age story is nothing new. Roth cites Jane Eyre and even Tristram Shandy as early examples. The component of coming age stories that is most important to the genre is the internality of the plot. Its a character’s psychological conflict and emotional maturation that matters in a coming of age story, something the novel is uniquely positioned to deal with, Roth says. Roth continues by saying he doesn’t know how to write short stories. He started writing The Unknowns while a graduate student. He was enrolled in the San Francisco State MFA program and expected to hand in writing regularly. Since he didn’t feel comfortable with short stories, he wrote chapters to his novel, although each chapter wrapped up to some degree to allow readers of the individual parts better access to the narratives. He says he had about two-thirds of the novel completed when he had graduated. The Unchangeable Spots of Leopards also began as self contained stories, but Jansma arrived at that point somewhat differently. 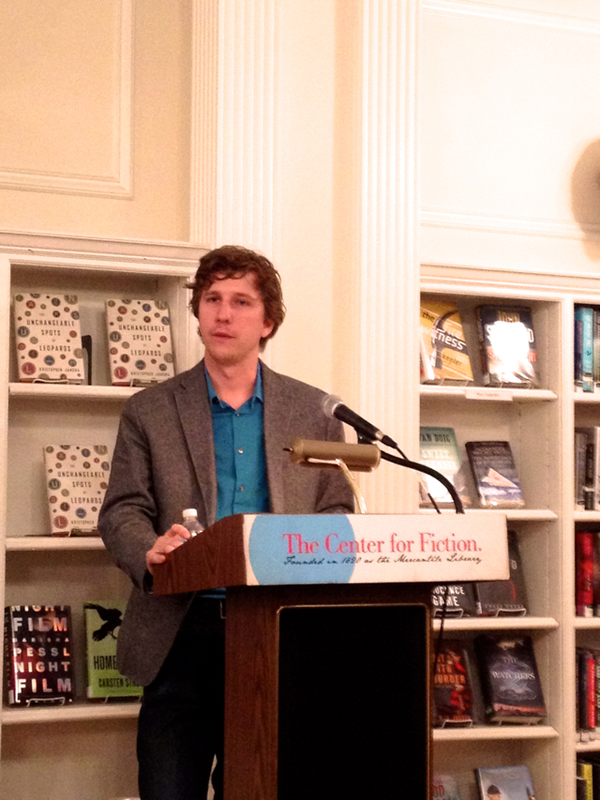 He enrolled in the Columbia MFA program shortly after college and he wanted to come out of the program with a novel. First he attempted a young adult novel. “It all just sort of fell apart,” he says. He made two other attempts, both failing. At the time he was in the program, the young adult genre had just been taking off. John Green was growing in popularity, as were series like Gossip Girl. He admits he wanted to replicate that kind of success, and that’s probably why he failed in his early attempts. He was totally unfamiliar with those kinds of young adult novels. He also felt discomfort with the short story as a form and decided to embark on a project: forty stories in a year. He would write the stories and post them online for his friends to read. He hoped his writer friends would provide feedback, like a virtual workshop, since he was now out of the MFA program. But he found that writers had their own projects. Instead, his friends with office jobs would end up reading his stories, often on their lunch breaks. After roughly a dozen stories, he wrote one titled The Unchangeable Spots of Leopards. “I had accidentally started writing a novel,” he says. He wanted to keep writing about those characters and evolve the story, but he was still committed to the forty story project. He continued writing the novel with the chapters the weekly stories. He sometimes went to great lengths to disguise the novel, even changing character names, though his friends knew better. Ultimately Jansma’s protagonist ended up a lot like him, though he says the character is not a standin for himself. Although he did want readers to believe that possibility existed, to blur the lines between fiction and non-fiction. Still, there are differences between him and the protagonist. “I can’t lie to save my life,” he says, one of the few distinctions. He wanted the character to get away with all the things he never would be able to. Roth took the opposite approach deliberately giving his protagonist qualities different from himself. He wanted to create that distance, different kind of settings, different kind of social class, different education levels. What he does share with his protagonist though is interiority. “I began with a certain kind of inner experience,” he explained.